Is a new Malawi possible? There has never been a better time to revisit this question than now. Travelling across the country, it’s easy to see why some people answer that question with cynicism. It’s understandable and lamentable that many, too, are giving up on the democratic experiment altogether—even grappling on whether they should vote next year. It’s human nature to have such moments. The cynicism is premised on deep-rooted challenges that leave all of us in love with this country, aghast when we mull over whether we can see a transformed Malawi in our lifetime. 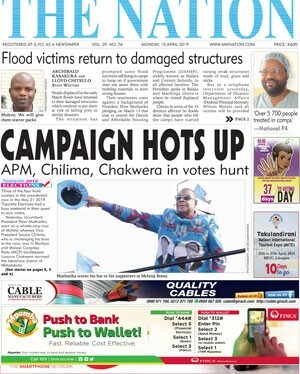 Yet, a confident Malawi that can start to move away from the current narratives is all we all desire. Truth be told, our situation is not beyond redemption. Genocide-ravaged landlocked Rwanda was probably hell on earth—with far worse odds at redemption than us—incredibly peaceful, blessed with arable land and a fresh water lake covering large swathes of the territory. Rwanda makes different headlines today. While Rwanda’s change came through the triumph of Paul Kagame’s guns, ours can come at a less cost; via a more orderly transition and change of mindset. Elections, like those lurking in a few months’ time, are golden a opportunity to save this country. They must be valued just as much. We all do realise that this country needs new direction. A sense of new direction and attendant transformation, can only be heralded by those occupying the highest offices. Yet, we, too, the citizenry, have a role. As taxpayers, too, we have civic duty to demand accountability for those whom we trust with public office. Next year, as in every five years, we have a sacred duty of choosing, through the ballot, those whom we can pin our best hope for change. We cannot afford to keep the status quo. We cannot be complacent to hope that, somehow, our country can miraculously transform on itself. Such careless thought can only fast-track this country’s journey into a failed State. We are not a failed State and, God forbid, we will never be one. But the quality of national leadership is invaluable as we do not have the luxury of time. Across the region, countries previously in our similar perilous positions are moving forward. Those progressing owe their transformation to tangible reforms, both administrative and legislative, necessary to attract investors. They are also reaping benefits of efficient public sectors and servant leadership that cuts on wastage and rein in on corruption. Their citizens and industries are benefiting from better social services delivery: better roads, power supply, ease of registering business, access to capital etc. We, too, can. It’s all due to leadership that is patriotic and visionary. Leadership that treats poverty and economic stagnation as a shameful crisis and matter of urgency. Leadership that is open to new ideas and thinking. Leadership that is not satisfied by small projects and illusionary progress or treat corruption and cronyism—chief vices dismembering our young country—with kid gloves. Or actively undermine efforts to reform the country for narrow partisan considerations. We can’t afford to have a leadership that is slow and ever procrastinating on crucial matters or afraid to engage its citizens or the outside world. We need generational thinkers, as one speaker once said. We need that leadership now. And that leadership, is a choice we can make in a few months’ time. To get that leadership in place, it means making sacrifices. It calls for the media and civil society educating the masses on what really constitutes good leadership in these peculiar circumstances our nation finds itself. It means media and civil society demystifying the role of government to ordinary citizens so that no political player cheats the masses that mere education credentials, age, gender, tribe, religion, campaign freebies, should make anyone be deemed fit for office. It means ordinary citizens getting involved; voicing support to progressive candidates and ideas; influencing friends and those in their circles to register and vote for the right candidates in the elections. It also means doing the right thing and investments in our ordinary lives so that our lives are not dependent on politicians’ mercy. That’s how change will come. It may delay, but it will come.